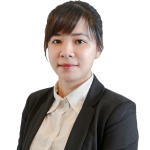 Tram Pham is a senior analyst for BowerGroupAsia in Vietnam, providing research, analysis, media and communication support for clients. Prior to joining BGA, Tram worked as a human relations intern for Esoftflow, a Danish company, where she supported the Human Rights Department in recruitment and administration. Tram is passionate about volunteer work. She has volunteered in several non-profit organizations and associations, including the Center for Social Initiative Promotion, a leading organization promoting social entrepreneurship in Vietnam. She has also volunteered at the Hanoi International Film Festival, where she monitored activities on the technical team and the Law Consultant Club, one of the most prestigious law clubs for students in Hanoi. Tram earned a bachelor’s degree from Foreign Trade University (FTU) in Hanoi. She received several awards during her undergraduate study, including Fourth Prize in FTU’s Science Research Contest, Aeon Scholarship for outstanding students, and Top 16 in the WTO-FTA Moot Competition (Korea).